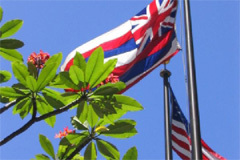 Statehood Day or Admission Day is a legal holiday in the state of Hawaii in the United States. It is celebrated annually on the third Friday in August to commemorate the anniversary of the 1959 admission of Hawaii into the Union. 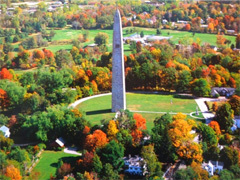 It was first celebrated in 1969. 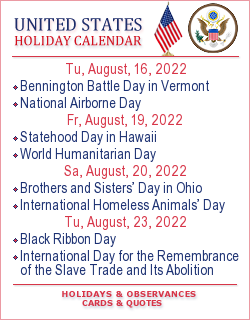 In 2019 Statehood Day in Hawaii in USA falls on August 16. In what other land save this one is the commonest form of greeting not ’Good day,’ nor ’How d’ye do’, but ’Love’? 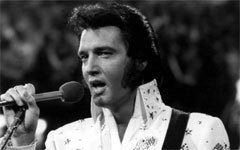 That greeting is ’Aloha’: love, I love you, my love to you... It is a positive affirmation of the warmth of one’s own heart-giving.